The Trials of Muhammad Ali examines the life of boxer Muhammad Ali outside the ring, beginning with the announcement of his deeply held and controversial Islamic religious beliefs and the decision to change his ‘white man’s name’ of Cassius Clay to Muhammad Ali. Ali refused to serve in the Vietnam War – even after his status as a conscientious objector was denied – on the grounds of protesting racial injustice at home. This documentary explores what made him such a controversial, charismatic and influential figure, not only in the sporting arena, but in world history generally. This event will take place on THURSDAY 3RD NOVEMBER 2016 from 7pm to 9pm. Doors open at 6.30pm. This event will take place on SATURDAY 17TH SEPTEMBER 2016 from 7pm to 9pm. Doors open at 6.30pm. 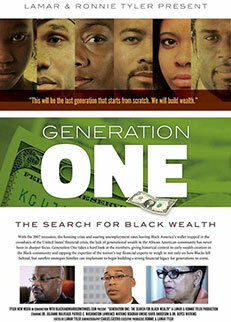 Generation One is a Call to Action to Build Black Wealth. Generation One: The Search for Black Wealth (2015) brings together top financial minds in the African American community to map out a blueprint for wealth creation among Black people. With the 2007 recession, the housing crisis and soaring unemployment rates leaving Black America’s wallet trapped in the crosshairs of the United States’ financial crisis, the lack of generational wealth in the African American community has never been in sharper focus. Generation One takes a hard look at the numbers, giving historical context to early wealth creation in the Black community and tapping the expertise of the nation’s top financial experts to weigh in not only on how Blacks fell behind, but surefire strategies families can implement to begin building a strong financial legacy for generations to come. This event will take place on THURSDAY 18TH AUGUST 2016 from 7pm to 9pm. Doors open at 6.30pm. Michael Jai White stars in this action comedy parody of the Blaxploitation films of the 1970s. After his brother is murdered in the ghetto, Vietnam veteran and former CIA agent Black Dynamite (White) sets out on a super-charged one-man mission to clean up the streets and avenge his brother’s death. He soon becomes embroiled in a corrupt and far-reaching crime operation involving top politicians, drug dealers and crazed scientists as he battles his way tirelessly from the blood-soaked city streets to the highest corridors of power. After the screening, there will be a discussion and Q&A. This event will take place on THURSDAY 7TH JULY 2016 from 7pm to 9pm. Doors open at 6.30pm. This screening is to commemorate the life and legacy of American Olympic and three-time world heavyweight boxing champion and activist Muhammad Ali who joined the ancestors aged 74 on 3 June 2016. An intimate and heart-warming look at the man behind the legend – as we’ve never seen Ali before. I AM ALI is told through exclusive, unprecedented access to Ali’s personal archive of ‘audio journals’ combined with touching interviews and testimonials from his inner circle of family and friends, including his daughters, sons, ex-wife and brother, plus legends of the boxing community including Mike Tyson, George Foreman and Gene Kilroy. Experience Ali’s extraordinary story, as a fighter, lover, brother, and father – told from the inside for the very first time. This event will take place on THURSDAY 23RD JUNE 2016 from 7pm to 9pm. Doors open at 6.30pm.